Has mastering chess ever been a piece of cake? No, not even for the champions! The intellectual game calls for a lot of practice plus the determination to keep learning new tactics to surprise the opponent by jeopardizing their strategy for achieving checkmate. Now, one of the best ways you can improve in playing chess, or learn the game from scratch altogether, is to invest in books that have been especially written to serve asa guide. 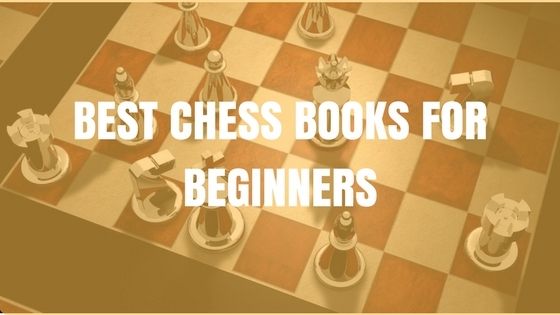 Listed below are some of the best chess books for beginners, though experienced players can benefit too. Have a look! This one can be easily labeled as the most enjoyable book ever compiled on chess playing techniques. Read away the Bobby Fischer principles of playing chess and you will be surprised to see how quickly you pick up all the key concepts such as interposing, pinning, back-rank attacks, and many more in an efficient manner. The concepts are fed into your brain so smoothly, it basically emphasizes on programmed learning. So, this means that unless and until you are clear of one concept, you won’t be moved on to the next. The book ensures that readers are provided with ample reasoning as to why a specific move is encouraged. Moreover, In addition to concepts, readers are also provided with lots of puzzles to solve. These involve players in identifying how to accomplish checkmate and whether it is even possible or not, and if the situation can be avoided when playing as the defender. Such an activity drives up your willingness to learn more about this fascinating game and help you excel when battling with a real opponent. On the whole, this book serves as an excellent tutorial to achieve checkmate. It is simple to understand and although players of all levels can benefit from it, you may want to skip it if you have been playing for a while. It’s the best investment for beginners. Are you in a hurry to learn the secret tips of succeeding in chess? If so, then the Chess 101 will perfectly fulfill your purpose. With this in hand, you don’t have to go through the hassle of reading many pages, as in thick books, written on chess playing. It comes as a short pamphlet, with only 52 pages, that has been designed as a beginner’s guide to help anyone who is new to the royal game. The guide comes packed with brilliant information about setting up the chess pieces on the board, explaining different moves and the value of each chessman, how to write chess notations, understanding the three phases of the game, and a lot more. It is guaranteed to prepare you to play chess anywhere, be it at a tournament, a club or just a random game with your close ones. Each and every aspect of chess has been illustrated in a simple and logical manner that readers will not only find easy to understand, but also develop a greater interest in finally being able to play like never before. From the basic rules and etiquette of chess to different tips for winning, Chess 101 proves to be a one of a kind introductory manual for both adults and kids. Are you secretly wishing for your kids to excel in the intellectual game of chess? Or maybe, you might have been noticing an aspiring chess champion in your little one lately? Well, grab the opportunity to buy Chess for Children by Murray Chandler and surprise your child by gifting it to him. It is an amazing book written specifically for children between 9 to 12 years of age, the chess champions of tomorrow! Basically, the book has been written keeping in mind all those readers who have no prior knowledge of this challenging game. Since it is a guide that is targeted at kids, the author has used a creative storytelling way of explaining everything step by step. It revolves around George, a young boy who is given lessons on chess playing by his pet alligator, Kristy, who is supposedly the Grand Alligator of chess. This book is exactly what its title states, Logical chess: Move by Move. It is for all those chess lovers who have graduated from the basic moves of the game and are now looking forward to learning the more challenging ones. However, this doesn’t mean that a newbie can’t benefit from giving it a read. The book actually guides you on how to play positional chess without having to memorize the moves and blunders made in previously played games. The writing is very clear and conversational-like which keeps the reader engaged while going through the reasoning behind each and every move in all 33 complete games comprised inside the book. These games are bound to provide you with ample knowledge of the power of each chessman and how to move the pieces most effectively. The learner is required to play along with the examples provided in the book for better understanding of good chess moves, and every second of doing so is worth it. Moreover, the author has been kind enough to state the best move to make with proper reasoning. In short, you will gain command on every single move throughout the game and not just a few random ones from the beginning, middle or end. Even possible blunders have been explained in order to help players to avoid them. Whatever your chess playing level is, you are not going to regret getting your hands on this wisdom filled book! If you want to learn the difficult strategies used while playing chess, one of the best way to do is to bring home the Complete Book of Chess Strategy by J.Silman. Even though it is a comprehensive guide for chess players, the written content is pretty simple to grasp by a layman. It promises to teach chess enthusiasts the right way to visualize the chess board and plan or change the game strategy accordingly. The book serves as a road map to steer your focus towards the basic, yet important strategic and tactical concepts of the game. The best thing about it is that it has been compiled in a dictionary form, making every aspect of chess strategy quickly accessible and easier to understand by the reader. All the concepts are listed alphabetically and explained thoroughly with relevant examples illustrating how the particular strategy is to be applied. Although some players may be of the opinion that this particular book does not provide a very deep insight on various chess strategies, it is still very informative and beneficial, especially for those who are still learning the basics. For a more in-depth analysis you can always check out advanced guides written by the same author or others. Has your little one been striving to stand out in playing chess for a while now? Has this lead you to look for tips and tricks that may facilitate the learning process? Well, consider yourself lucky and get the Winning Chess Strategies book to watch your child’s talent unfold on the chess board! Especially designed for children falling in the age bracket between 7 to 13 years, this book can be simply described as one of the most comprehensive and fun chess course ever written. Each page is bursting with catchy content and entertaining artwork to keep young reader engrossed till the end. It serves as the perfect guide for kids, thereby seems to be highly preferred by teachers and parents as well. Everything is explained from square one. The book initiates by covering the game rules, basic mates and tactics that aren’t very hard to learn. It then proceeds to let the reader explore a wide range of advanced strategies that include pawn structure and piece developments as well as illustrating the method of attacking a castled king. It is commendable how the opening principles, middle-game planning and techniques for ending the game brilliantly are all jotted in clear and simple to understand language. You can bet, once your child turns the last page of this book, he will emerge as a much better player than before. Watch him bask in the pride of beating different opponents with the newly gained knowledge on chess playing! So you think that your dad is the best chess player? Do you secretly wish to beat him in the game at least once? Well, surprise! Your wish can now be fulfilled, that is, only if you give “How to Beat Your Dad at Chess” a quick read. Actually, this is a chess playing guide that is perfect for everyone regardless of their age or player level! Written in a very to-the-point and simple-to-follow format, this book reveals various methods of cleverly achieving checkmate by identifying the best way to win when playing with a stronger opponent. This can be a friend or club mate other than your dad. Brace yourself, for efficiently demonstrated on the pages inside are 50 deadly checkmates that advanced players are known to use for winning their games. These positions have been extracted from real games so as to provide readers with a realistic approach to the situation. Furthermore, the ideas for checkmating shown through the examples are bound to help develop tactical skills required to carry out combinations, sacrifices and attacks when playing in real. The focus of this book is to provide a wealth of valuable patterns and pattern-recognition skills that are crucial for winning in chess. On the whole, reading this manual will make improving in chess fun and simple. How? Well, read the helpful explanations and practical advice hidden inside the book to find out! Are you wondering if you can ever approach a chess game with confidence? The good news is, yes, you absolutely can! Beginning Chess has been cleverly drafted to cater to the needs of players who are aspiring to be perfect players of the strategic board game. Bruce Pandolfini, the author of this book has made sure to list and help solve 300 elementary problems for individuals who are new to chess. The book efficiently covers everything that a novice player would want to and needs to learn about chess. It takes readers through the basic rules of the game to the art of moving the chessmen smartly and mastering sophisticated strategies. Each aspect is covered step by step in vocabulary that is simple to understand and not full of complicated terms..
All in all, Beginning Chess definitely serves as a very useful book as it covers the basics of chess quite well and keeps the reader engaged. In fact, you may even find a boost in your confidence level for playing the game as the guide keeps you somewhat challenged while you turn the pages solving problems one by one. Make sure you are a beginner level chess player if you intend to get this book, otherwise you might find the problems too easy to solve. You can however recommend this to a newbie anytime, and let them thank you later! Are you looking forward to polish your chess playing skills? Well then, what are you waiting for? Read up any one of these brilliant books and start playing like a pro!